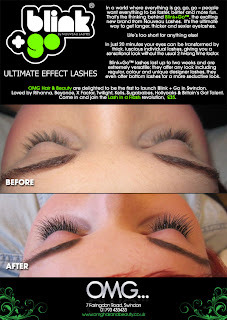 Van's Views - Hair, Beauty, Nails & Lifestyle Blog: Blink N Go at OMG! Congrats on your graduation guys - loving your enthusiasm for Blink+Go..almost as excited as we are! Just know your salon will go from strength to strength.